Under the agreement staff will be able to apply for redeployment at nearby stores. 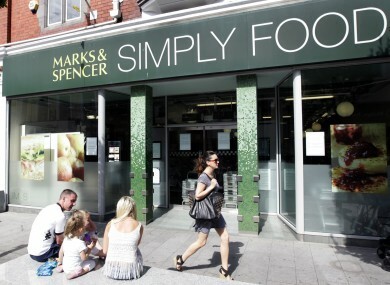 MANDATE TRADE UNION says tomorrow’s scheduled industrial action in four Marks & Spencer stores have been averted after an agreement was reached. Union members in the Dun Laoghaire, Mullingar, Naas and Tallaght stores voted in favour of industrial action last month after the company issued their workers with compulsory redundancy notices. Mandate and Marks & Spencer negotiated a settlement which was balloted on and accepted by the members in the four stores. “It is regretful that our members had to threaten industrial action in order to achieve what was a very reasonable proposition,” said Gerry Light, MANDATE’s assistant general secretary. “As a union, we had never questioned the motives for the closure of the four stores and all we were asking was that redeployment should be an option where possible. Our members fought for redeployment and they have now won that opportunity,” he said. Under the the agreement staff will be able to apply for redeployment to nearby stores. Email “Strike averted at four Marks & Spencer stores”. Feedback on “Strike averted at four Marks & Spencer stores”.